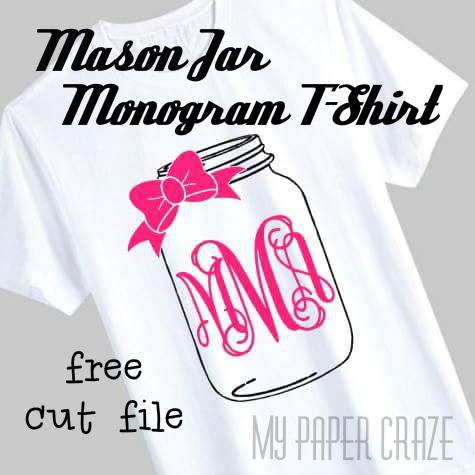 Make a mason jar monogram shirt for yourself or as a gift this holiday season. Get the free cut file from My Paper Craze! Be sure to click over to the original source before pinning this image. Love jars as much as I do? Leave a comment! Click for more gift in a jar ideas! Come visit my other home on the web!